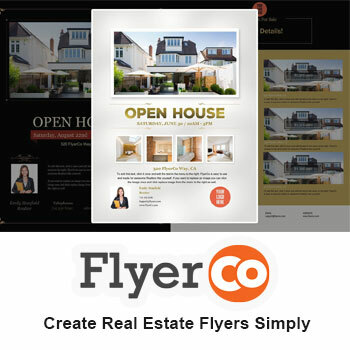 Real estate lead generation is constantly evolving. As we move closer to the new year, you need to work on staying ahead of the competition. You need to be employing the right strategies that will help you stand out and grow you business. 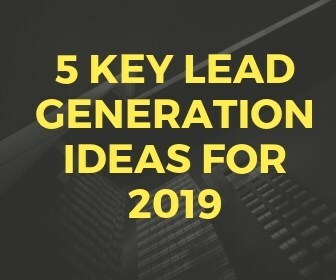 Here are 5 key ways to generate buyer and seller leads in 2019. Generating leads typically involves quite a few steps for the customer which can wind up turning a lead into a lost one. The beauty of these Facebook Messenger ads is that a lead can click on your ad and start a Live conversation with you. No need to fill out forms which is so much easier than the traditional conversion process. The other great benefit for the lead is that they don’t need to provide their contact information in order to start a dialogue with you. This spells out a big positive for the lead and a higher response rate for you, along with a lower cost per lead. Trying to snag a buyer is one of the toughest parts of being a buyer’s agent. With Zillow’s Agent Finder, you are being put in front of people who are looking for an agent. Sign up with Premier Agent and you have the opportunity to buy into visibility in a chosen zip code. For example, if you want to have 50 percent share of the market in your area’s zip code, you will appear as a buyer’s agent 50 percent of the time for people searching for listings in that zip. Of course a person can choose who they want as an agent, but your chances are much higher with a great profile and reviews as well as more sales. You will also show up as Featured Agent in the directory of agents. Everyone is going after the usual type leads. In order to get ahead, you need to think outside of the box. This is where going after divorce leads makes sense. They have a court order to sell their home and if you are really serious about seeking out these type of leads, you should consider getting your RCS-D designation. This will show that you know your stuff within this niche. Reach out with the goal of being helpful. Follow up on a regular basis. Reach out later in the afternoon after 4 but not after 7. The weekends are also a good time. Online Residential Real Estate Sites: Check out sites like Forsalebyowner, Craigslist,Zillow’s For Sale By Owner and Zillow’s Make Me Move. You will find lots of FSBO listings. Get a list of delinquent taxpayers from the county: You can go through your county or a data provider. Once you have the list, think of how to further nurture these leads with a marketing campaign. Facebook Groups: Join Facebook groups that are specifically for FSBOs in addition to those that would be relevant to FSBOs such as garage & estate sales and DIY home improvement. If you don’t have a blog going yet, you should. Any relevant articles you can post in the groups. Also make sure to engage as much as you can while providing value to the group. Before you know it you will be seen as the expert of the group. Cold calling is not for the faint of heart. There is a lot of rejection and you need to learn how to roll with the punches. Look at each rejection as a stepping stone. Having a growth mindset will help out greatly here. If you are in an area that sees a good amount of investor activity, reaching out to these individuals could definitely spell more leads for you. If you manage to develop a strong relationship with an investor who is busy, that will mean you get a piece of that pie too. You have to really know your stuff if you are going to take this route. Most investors will want to work with someone who is an investor or has experience working with investors. You need to be seasoned in negotiation and really know the market. Generating real estate leads is at the top of the list for any agent. In order to stay ahead of the competition, you need to think out of the box and work harder and smarter. The above tips and strategies will help boost your lead generation numbers if you are willing to put in the work.